Hardcover, 12.75 x 8.75 in. / 112 pgs / 66 color / 1 bw. Preface by Agnes Husslein-Arco. Text by Mario Codognato. 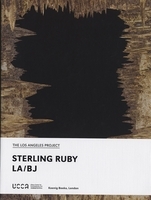 The Los Angeles–based artist Sterling Ruby (born 1972) works prolifically in a wide range of media, from glazed biomorphic ceramics and poured urethane sculptures to large-scale spraypainted canvases, nail polish drawings, collages and videos. 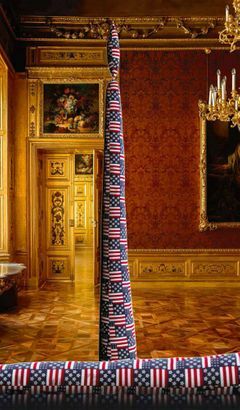 Ruby's exhibition in the richly decorated Baroque rooms of the former residence of Prince Eugene of Savoy, the Winterpalais in Vienna, is particularly extraordinary in the contrast between the two aesthetics. This volume, and the exhibition it accompanies, offers a survey of the artist’s oeuvre, including his ceramics, bronze, steel and urethane sculptures, mobiles, soft works and tapestries. Edited with foreword by Alessandro Rabottini. 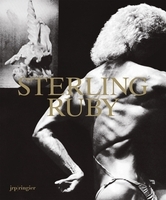 Text by Jörg Heiser, Robert Hobbs, Sterling Ruby, Catherine Taft. Edited by Karen Marta, Brian Roettinger. FORMAT: Hbk, 12.75 x 8.75 in. / 112 pgs / 66 color / 1 b&w.